It’s German made. It’s affordable. It’s family car — it’s the 2017 Volkswagen Passat 1.8t R-Line. This sedan offers drivers the best of both worlds. It delivers in so many areas. 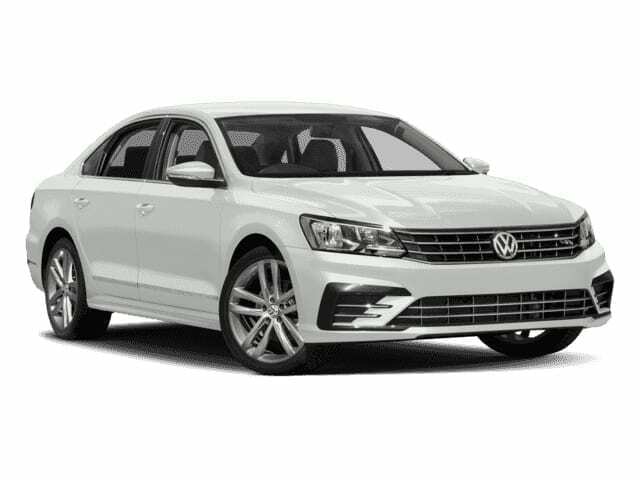 With sleek lines and overall refined styling, the Passat has the design chops to make you rethink what a family car should look like. Of the many amenities that Passat offers, the Hands-free Easy Open trunk is one of the most popular among customers. It’s helpful and it’s fun to use. You don’t need to lift a finger when you want to open the available hands-free Easy Open trunk on your Passat. With key in pocket, swipe your foot under the rear bumper to unlock and open the trunk. The Passat’s been voted Best-in its class of cars, when it comes to rear legroom for passengers. Backseat riders will love the Passat’s Rear seat pass-through. The 60/40-split folding rear seats with pass-through can let you haul that pair of skis with minimal disruption of passengers in the back. Climatronic® dual-zone automatic climate control offers comfort throughout the year. Passat’s turbocharged 1.8L TSI engine, performance comes standard along with practicality. It’s fast.36 It’s fun. The turbo technology in the TSI® engine forces cooled air straight into the engine, helping give you impressive performance, horsepower, and torque. You don’t need to lift a finger when you want to open the available hands-free Easy Open trunk on your Passat. With key in pocket, swipe your foot under the rear bumper to unlock and open the trunk.